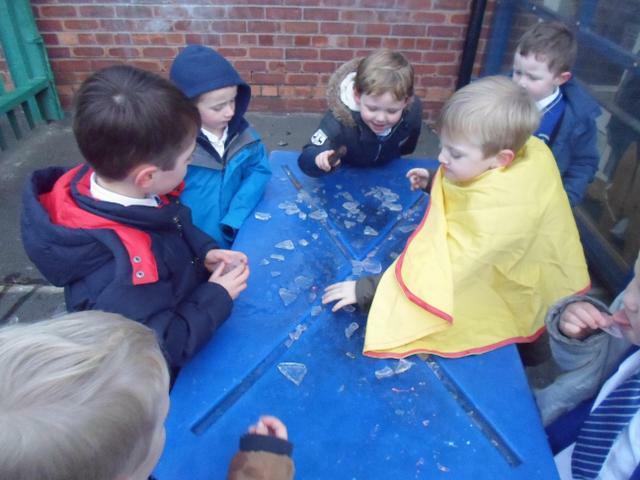 We think Queen Elsa has visted our school this morning because are outdoors has been FROZEN. 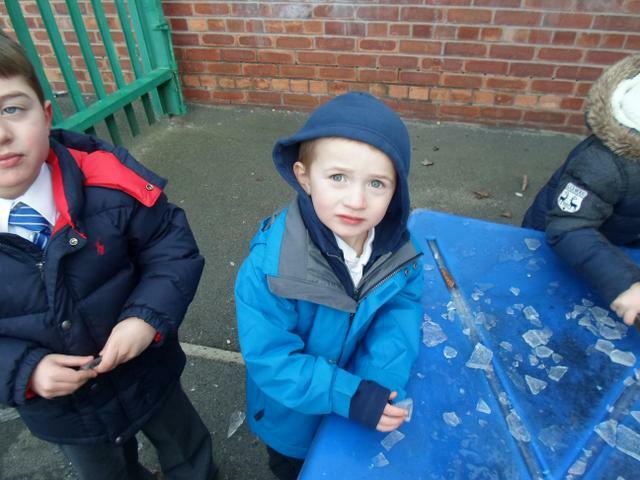 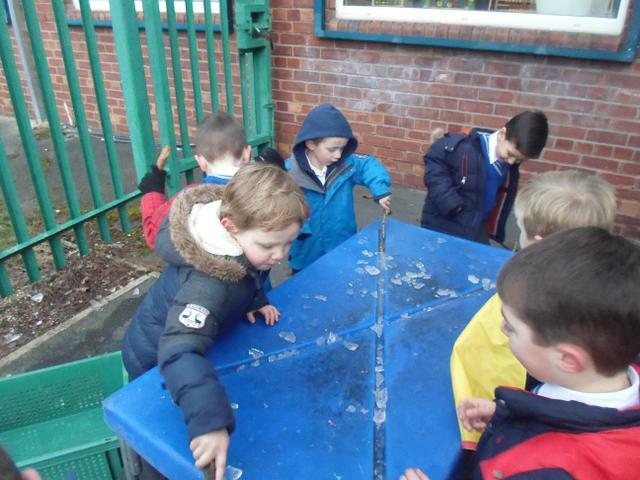 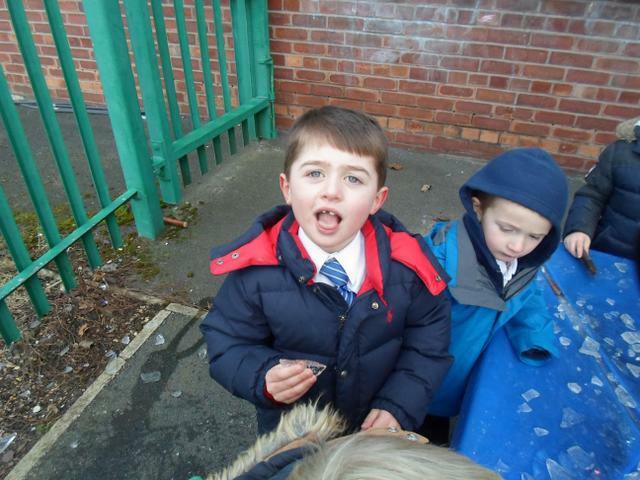 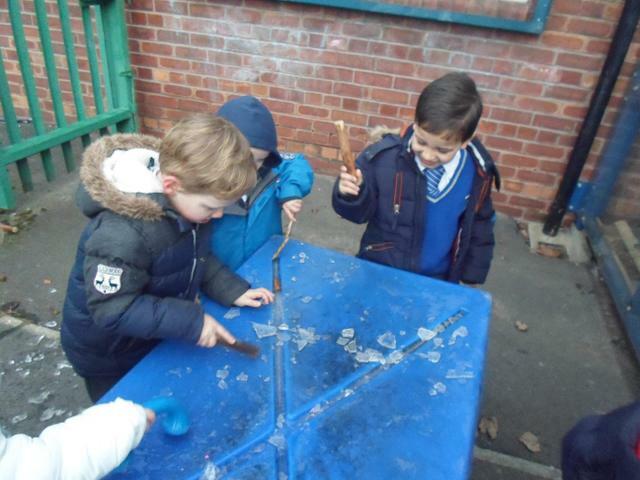 We have had lots of fun using our senses to explore this solid material. 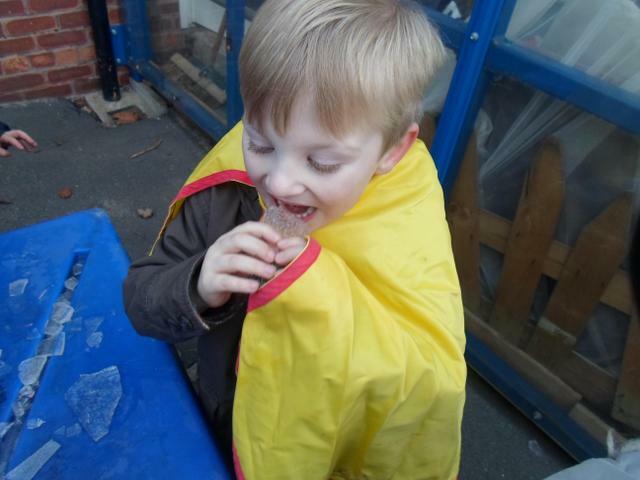 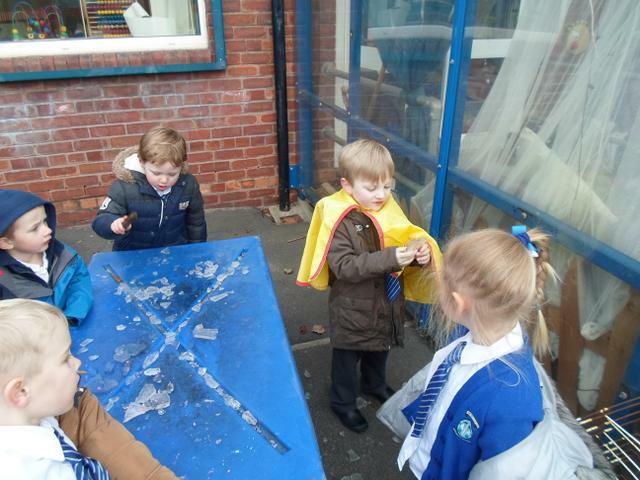 Ryan used the ice to construct his very own Elsa Castle "if the sun comes it will melt" explained Ryan. 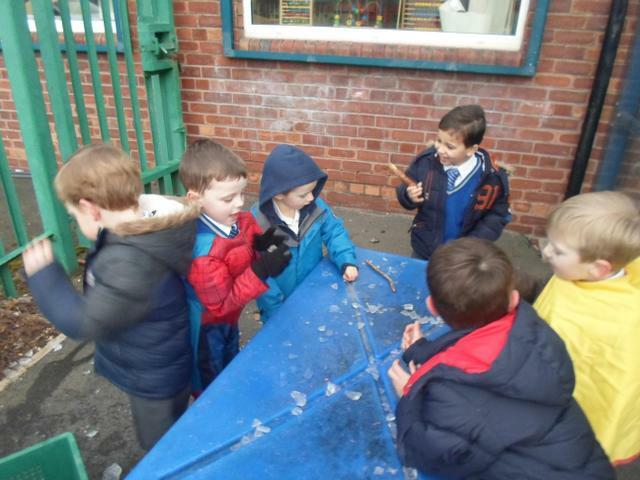 What a chilly yet fun morning we have had!